Social enterprises are revenue-generating businesses with a twist. At Metropolitan Ministries we are proud to have two successful social enterprises, Inside the Box Café and Catering and Metropolitan Ministries Thrift Store. Profits from our businesses go directly to feeding those in need in our community and supporting the programs that help families become self-sufficient. Fresh, Vibrant, and Simply Unique: that’s Inside the Box Café & Catering. Lively, friendly service with a clean and bright atmosphere, a fabulous menu, and an inspirational story—it’s where comfort, flavor, and culture mingle with opportunity to make a difference in the community. A meal for you. A meal for them. That is what Inside the Box Cafe and Catering is all about. You see it written on the walls and on every boxed lunch or catered tray you carry out. All proceeds from the meal you purchase go directly back to feeding a hungry and hurting Tampa Bay neighbor. Food with a side of HOPE! In addition to serving contemporary Americana and inventive original dishes, we also serve a much higher calling by providing vocational training opportunities for men and women transitioning out of homelessness and poverty. The Culinary Arts Program (CAP) produces qualified employees who are prepared for work in the hospitality industry. Upon graduation, each trainee has gained the ability necessary not only to find a job, but to keep it! In the process, the students gain skills and work ethics that encourage them to lead a life of self-sufficiency. Stop by our Downtown or Westshore location for a break from the brown bag lunch. Check out the Cafe Menu! Inside the Box now serves ‘Grab & Gourmet’ food items in the Airside C terminal of TIA, which services Southwest Airlines. This is the first step coinciding with the airport’s $1 billion expansion project that will eventually see an expanded selection of Inside the Box products at multiple locations in all of the airport’s news and food stands operated by Stellar Partners. 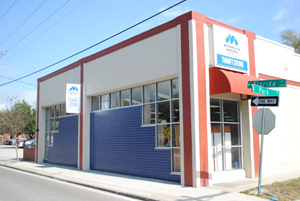 The Metropolitan Ministries Thrift Store proudly serves the Tampa Bay community in many ways. We provide much needed clothing, furniture, appliances and many other items to homeless and low-income families. We also sell many items to the community at unbeatable prices with proceeds supporting the ongoing mission of the Ministries. 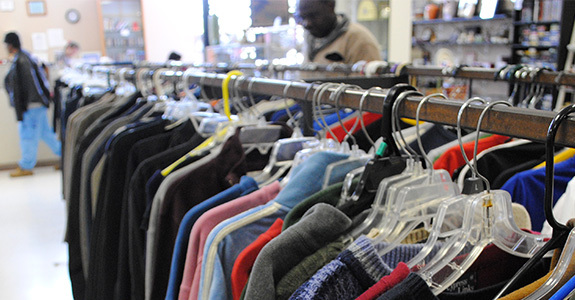 The Thrift Store is staffed by residents of Metropolitan Ministries involved in our Uplift U® program. We give on-the-job training to these individuals and career skills. Through generous donors, we are able to provide furniture and other household items to families in our Rapid Re-Housing program to help alleviate some of the stresses associated with moving into a new residence, especially in some cases, without any furniture, clothing or cookware. Other items are sold to people within the community who know that by patronizing the Metropolitan Ministries Thrift Store, they are helping families in Tampa Bay regain their independence and self-sufficiency. Check out the Thrift Store Website. Homelessness doesn't take a vacation. Please help us provide lasting hope and real solutions to the many children we serve. Receiving four out of a possible four stars from Charity Navigator means that we consistently execute our mission in a fiscally responsible way. 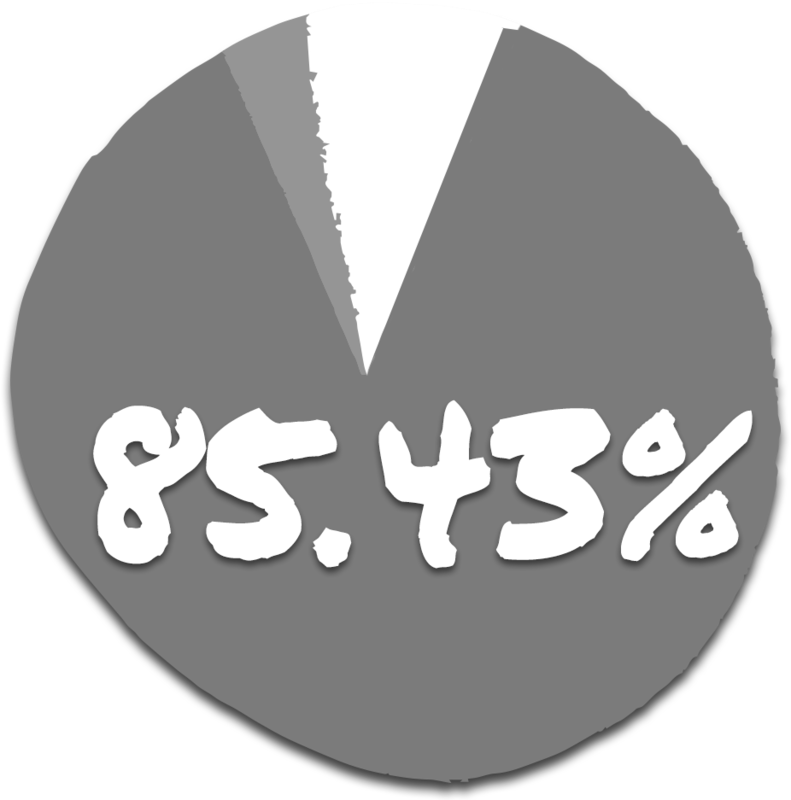 85.43% of expenses go to program services. This outperforms most other charities in America and demonstrates that we are worthy of your trust.